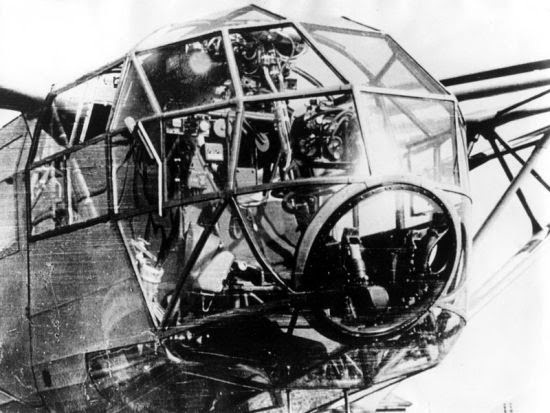 A view of the cockpit of a Fa 223 Drache. There are many areas in which the Third Reich is claimed to be in the lead, such as in tanks, where that claim is at least debatable. One thing that is not debatable is that the Luftwaffe was far, far ahead of any of the Allies in the development and the use of helicopters. Anton Flettner was an aviation inventor with World War I experience. His company, Flugzeugbau GmbH, focused on rotary wing aircraft, i.e., helicopters and autogyros. His first aircraft flew in 1932, and the Germany Navy (Kriegsmarine) soon became interested. 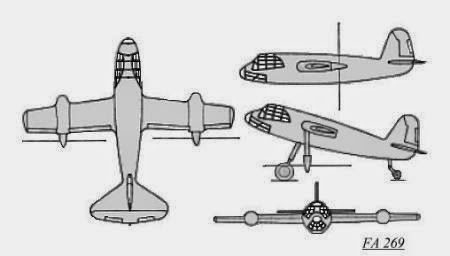 Some of his early designs had three rotors, and the Fl 265 had a counter-rotating rotor system and a single Bramo Sh 15A 7-cylinder radial piston engine delivering 160 horsepower. The Kriegsmarine preferred single-rotor machines which could operate from U-boats, which needed a way to spot targets over the horizon. The Fl 282 was an improved version which incorporated many improvements from the six or so versions of the Fl 265 that had been produced. 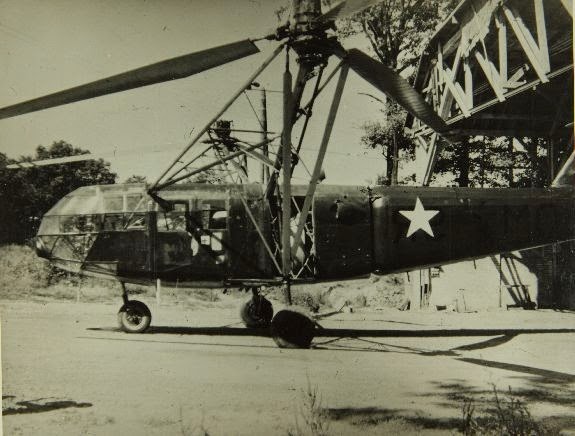 The United States was working on helicopters, and one or two even made it to the war zones in the Pacific. 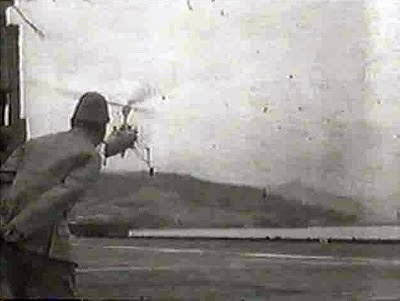 After the war, the Americans took the lead in helicopter development. However, the Germans were using helicopters on an ordinary, everyday basis years ahead of the United States or, for that matter, anyone else. 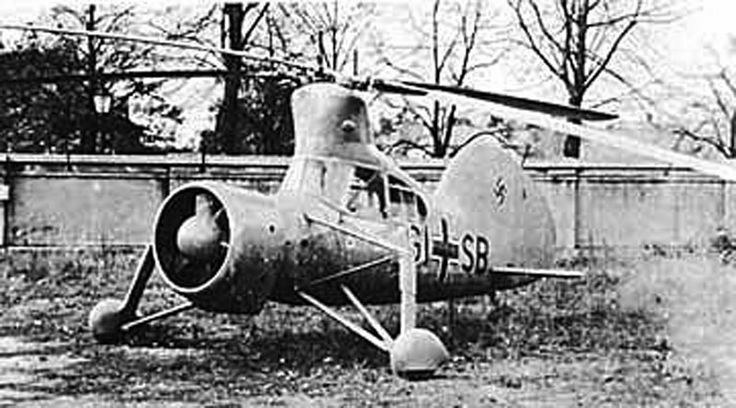 In February 1938, the world's first helicopter was demonstrated by the test pilot Hanna Reitsch indoors at the Deutschlandhalle sports stadium in Berlin, Germany. 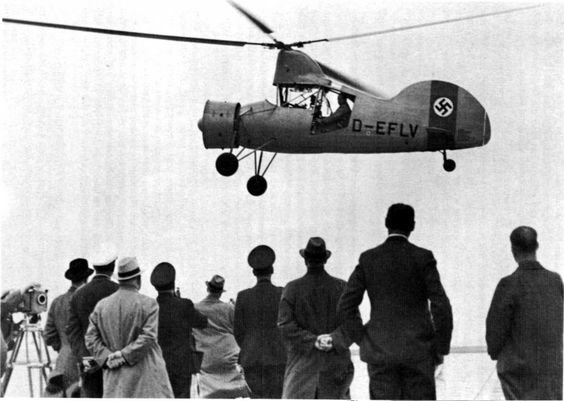 Knowing that the world media would not want to credit Germany with the invention, they concocted a scheme to fly it during a nearby motorcar exhibition at which the world media was in attendance. However, even though the Germans wanted the publicity, the media still did not give much ink to the strange new invention. Thus, the helicopter remained semi-secret, at least to the public at large, until well after the war. 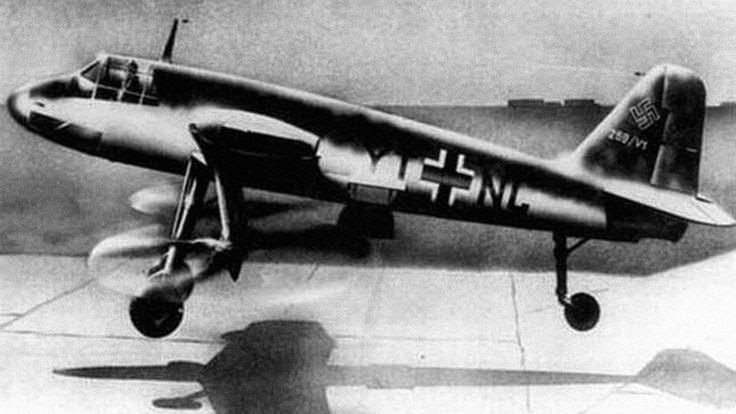 Called the Focke Wulf Fw 61, it subsequently set several records for altitude, speed and flight duration culminating, in June 1938, with an altitude record of 3,427 m (11,243 ft) and a straight line flight record of 230 km (143 mi). FW 61, of the type flown by Hanna Reitsch. 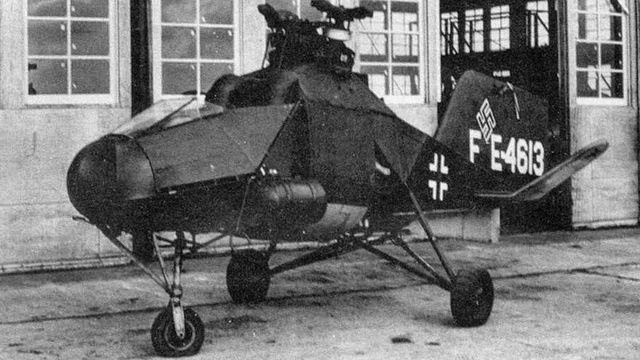 Focke-Wulf Fw 61. 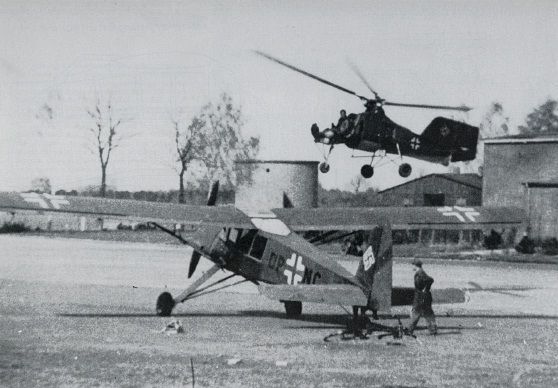 The Focke-Wulf Fw 61 is often considered the first practical, functional helicopter, first flown in 1936. 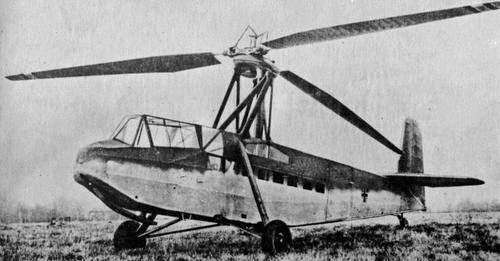 It was also known as the Fa 61, as Focke began a new company—Focke Achgelis—for helicopter manufacture after development had begun. 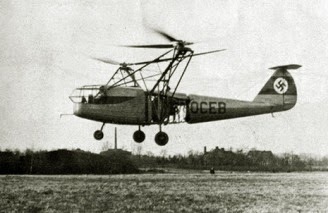 The first production series helicopter was the Flettner Fl-282. It was quite small, but with a very modern look. The body of the aircraft obviously was adapted from an airplane design, and the absence of a rear rotor makes one wonder about its stability in flight. However, there is no question that it flew. Flettner Fl-282 on a warship. The German Navy was very interested in the Flettner Fl-282. Many landings were staged on the German cruiser Köln. The Siemens-Halske Sh 14 radial engine of 150-160 hp was very reliable and only required servicing every 400 hours. This is a colorization of that previous shot of the Flettner Fl-282 at sea. 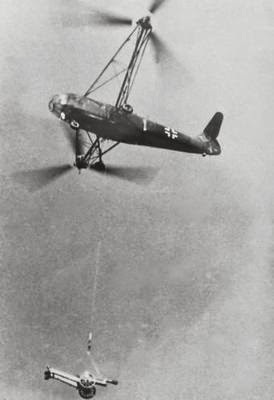 The Fa-330 was a tiny autogyro that was actually used by the Kriegsmarine. It was stowed in the conning tower of a submarine in a watertight cannister. It would be launched from the conning tower of a moving U-boat attached to a cable. Presumably this worked best in a strong wind. 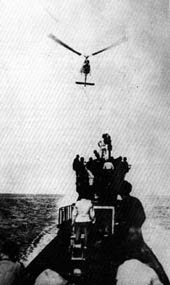 The cable would be let out like a kite until the Fa-330 had reached sufficient altitude to scan the horizon for merchant ships. This greatly increased the scanning horizon, from perhaps 8 kilometers from the conning tower to 50-60 kilometers at a few hundred feet. Retrieval involved either winching the contraption down slowly or cutting it loose to come down by auto-rotation. The pilot could either come down with it - fairly dangerous, since the blades would be spinning until they hit the water, where the pilot's head would be bobbing - or parachute (or simply jump) out. Training to handle this autogyro was given in a wind tunnel at Ghalais Meudon in France. An original Fa 330 is still preserved in the French Air Museum. 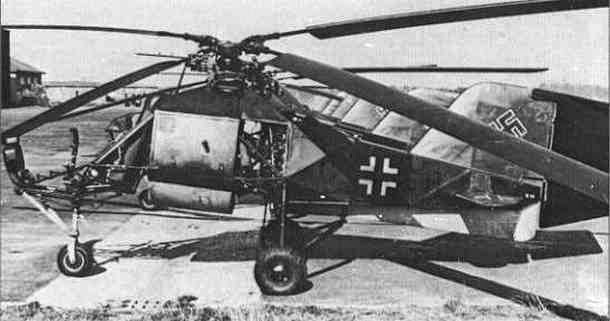 Another common Luftwaffe helicopter was the Focke-Achgelis FA 223. It was armed with a 1 x 7.92 mm MG15. It had a crew of two and was substantially larger than the other early types, though it came into service in 1942, around the same time as the Fl-282. 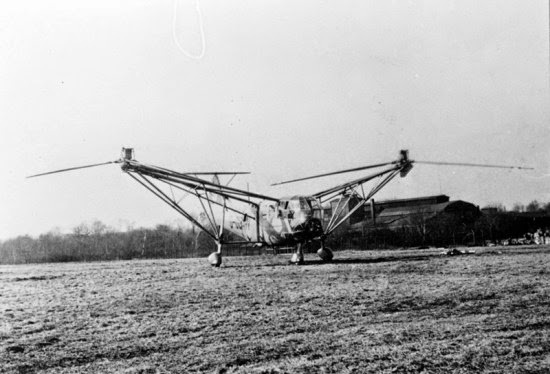 The Americans, with relatively unlimited resources, certainly had some experimental helicopters in the works, but there is no dispute that the Germans were far ahead in this area. 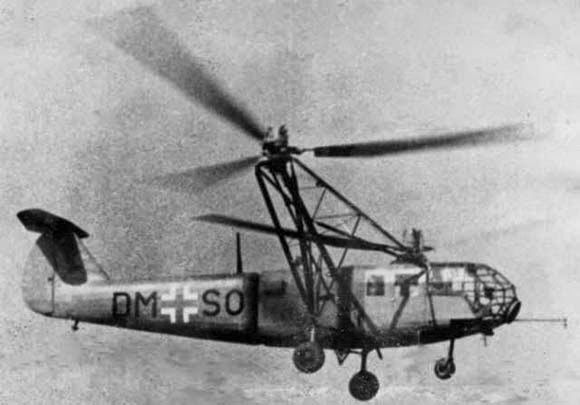 Only a couple dozen Luftwaffe helicopters were made because the Allies bombed the main production facility, and those that were made were used primarily as artillery spotters, operating out of the test field at Rangsdorf. If the Germans had had better luck, the order the Wehrmacht placed for 1000 of them would have been filled and they would have been everywhere. 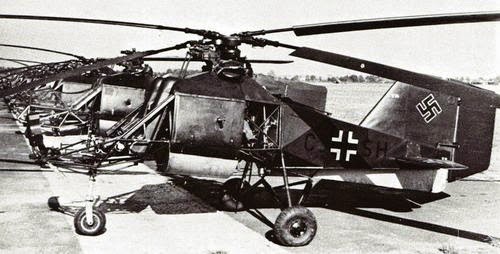 Luftwaffe helicopters were not even that rare, they just didn't have a defined role yet, such as helicopters gained during the Vietnam War as troop carriers. 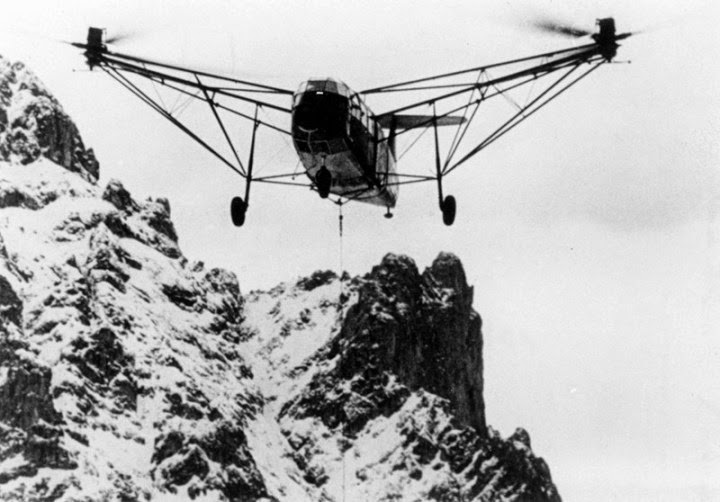 A Flettner FL-282 taking off behind a Fieseler Fi-256. 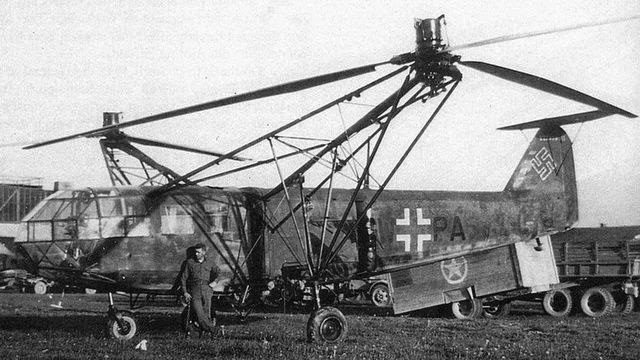 The German helicopters may look sketchy because they don't look like later helicopters, but they were capable of lifting cannon and even airplanes. Several Fl-282 survive, one in Russian hands, one with the Americans at Dayton, and one with the British in Coventry. 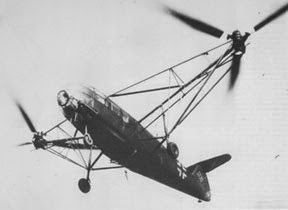 Rare Intel photo of Focke-Achgelis Fa 225: German experimental rotary wing glider of 1942 constructed from the fuselage of a DFS.230 glider, with the wings replaced by an Fa 223 rotor. This is the only one ever built. Note the camouflage paint, which only would have been useful if it flew high. 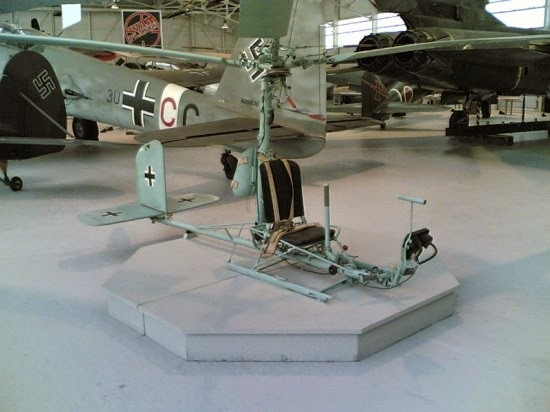 September 6, 1945: A captured German Focke-Achgelis Fa 223 V14, makes the first helicopter crossing of the English Channel when it is moved from Cherbourg to RAF Beaulieu. 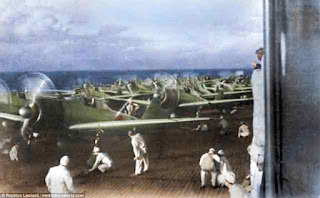 The US had intended to ferry two captured aircraft back to the USA aboard a ship, but only had room for one. 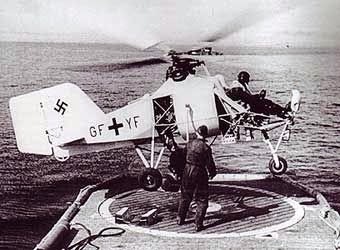 Luftwaffe helicopter pilot Helmut Gerstenhauer, with two observers, flew another aircraft across the Channel to the base in Hampshire. Focke-Achgelis 223. Photographs and movies of stunts like this were taken for propaganda effect. 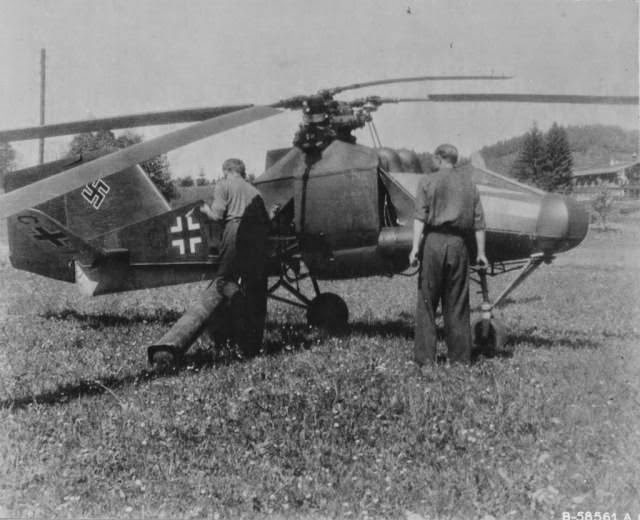 A captured helicopter. 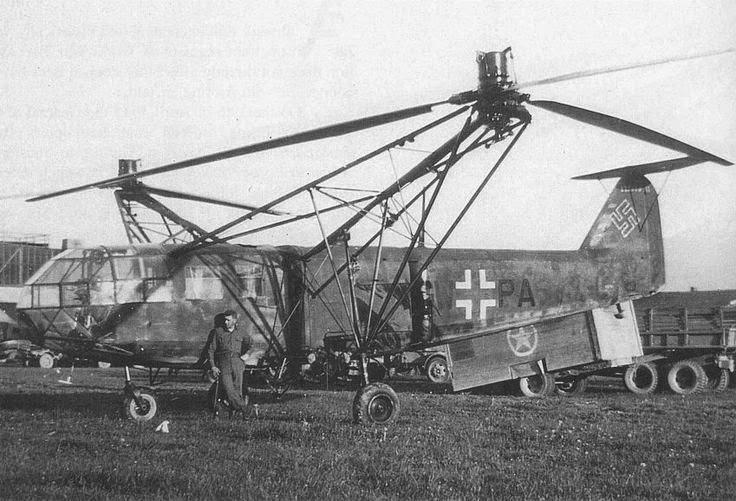 "The Focke-Achgelis Fa 223 Drache ("Dragon" in English) was a helicopter developed by Germany during World War II. 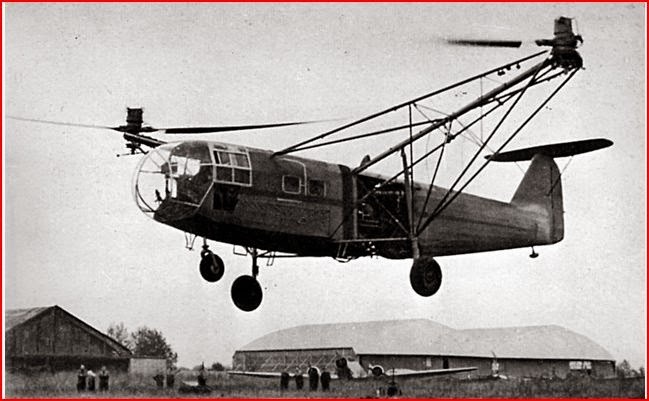 A single 750 kilowatt (1,000 horsepower) Bramo 323 radial engine powered two three-bladed 11.9 metre (39 feet) rotors mounted on twin booms on either side of the 12.2 metre (40 ft) long cylindrical fuselage." The Luftwaffe prided itself on not letting intact aircraft fall into enemy hands; they must have thought this so cool they just couldn't bear to blow it up. Fa 330 bachstelze as exhibited at Royal Air Force Cosford, UK in 2007. 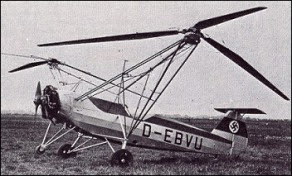 The Focke-Achgelis FA 330 Bachstelze (English: Wagtail) was a type of rotary-wing kite, known as a gyroglider or rotor kite. They were towed behind German U-boats during World War II to allow a lookout to see farther. A Wagtail in use. Development was completed by August 1942. In April 1943, one deployed to the Indian Ocean aboard U-177, a long-range Type IX U-boat. Yes, in the Indian Ocean. Yes, these puppies actually were used. 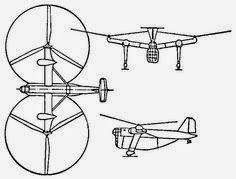 Focke-Achgelis Fa 269 was a tiltrotor VTOL (vertical take-off and landing) fighter project designed by Heinrich Focke." 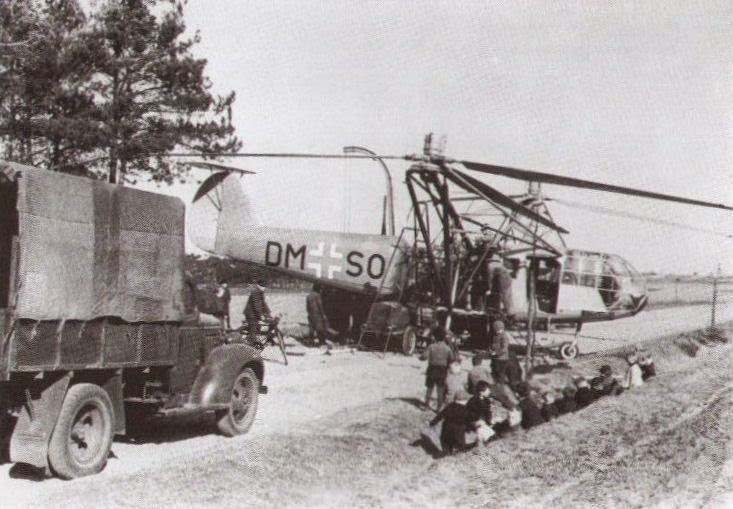 It is easy to focus solely on German helicopters and the like because the country most certainly had the leading helicopter developer of World War II. However, the Allies had their share of experimental types, and the Japanese did as well. Here is the Kayaba Ka 1. It operated as an ASW patrol aircraft from the Akitsu Maru.